My buddy Craig Wichman and his Quicksilver Radio Theater are re-creating the monster today at 1 PM. 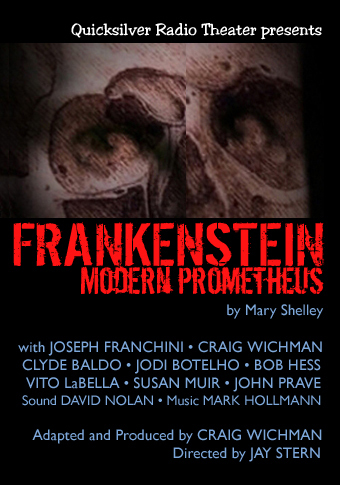 You can hear Craig’s acclaimed radio drama adaptation of Mary Shelly’s “Frankenstein Modern Prometheus” streaming online at WMPG Portland. Just park your browser there after lunch and lose yourself in the classic horror story. It beats working. Part one streams today at 1 PM, while part two can be heard October 18. The above graphic is courtesy of the Frankensteinia blog, which is a lot of fun, especially this time of year. We skipped Monday, not only for the holiday, but also to finish episode 28 of Radio Free Charleston, our Beatles tribute show. 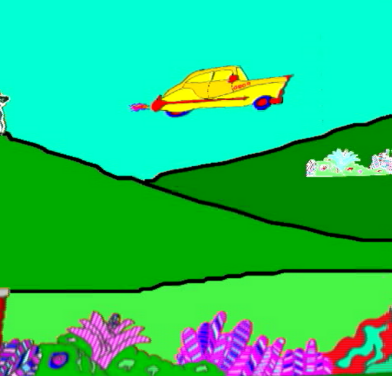 Our art this week is a frame grab from an animated video I created for the Go Van Gogh song “Requiem For Pepperland,” which is a big part of this week’s RFC. It’s John Lennon’s birthday today, and so I took the opportunity to pay tribute to my favorite band on the show, even though we couldn’t actually use any Beatles music. I’ll have more details on the show this evening when the production notes go online here at PopCult. The show should be live later today, so keep checking the main page of The Gazz.com. Just like every week, you can click the image to see a larger version. Right this moment you can buy this image on shirts, posters, buttons, and other stuff in the newly revamped Monday Morning Art Store. You can also follow these links to see my efforts in the PopCult store and the Radio Free Charleston store. In our most recent episode of Radio Free Charleston, we had to do something that we really hate to do on RFC. We had to edit one of the songs for time constraints. Comparsa‘s wonderful tune, “La Buena Comparsa” wound up missing about 90 seconds, including a way-cool bass and percussion solo. 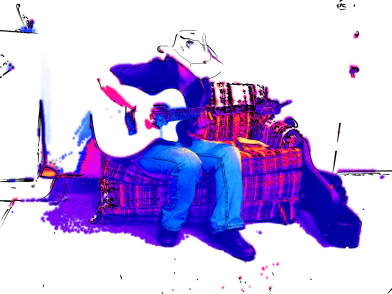 So here, in all its unedited glory, is “La Buena Comparsa,” recorded live at the La Belle Theater in South Charleston during the Leigh Bowlin Support Fund benefit concert. Check out the production notes for info on how you can contribute to the fund. But now, it’s the music…. 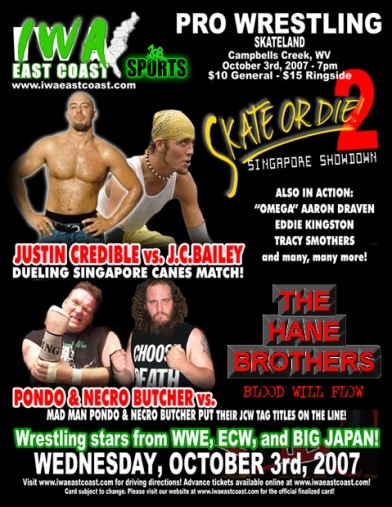 IWA East Coast returns to Campbell’s Creek Wednesday night with “Skate Or Die 2.” A night of fierce wrestling action will take place at Skateland in Campbell’s Creek, featuring Mad Man Pondo(coming soon to Radio Free Charleston), The Necro Butcher, El Drunko, and former WWE and ECW star Justin Credible! Just look! For the full card, follow the jump…. We’re starting off this week with a look back at last week’s well-received episode 27 of Radio Free Charleston. Specifically, we’re looking at musical guest Stephanie Deskins. While we were waiting in the hallway outside of LiveMix Studio before the recording session for Steph’s song, she sat on the “reception area couch” and warmed up on guitar. I snapped a quick photo, and based a digital painting on it, which you see above. Scroll down the PopCult page for more on Stephanie, and check out the show for more great music by Doctor Senator and Comparsa, plus a cartoon by Stephen Beckner. Just like every week, you can click the image to see a larger version. And you can also buy this image on shirts, posters, buttons, and other stuff in the newly revamped Monday Morning Art Store. You can also follow these links to see my efforts in the PopCult store and the Radio Free Charleston store.